Hello and welcome to the first real post on the topic of writing! If you don't know what these posts will be about, check out my introduction to them here - I explained everything in that post! Then without further ado, let's get started! Of course before you can even start writing, you need to have an idea. If you need some inspiration I would suggest reading other novels of course, but also maybe scrolling through Tumblr or Pinterest - I find pictures to be very inspiring, so maybe they will help you too. Also, listen to your dreams from time to time - they are my biggest source of ideas! Now I am one of those people, who have like a thousand and one ideas of possible stories in their head, but who don't really know where to start, and how to get the story in order - that's one of the reasons, I've never finished writing a novel. So I would suggest to you, that you just get the basic story worked out from the beginning - that also means to figure out, how long you want the story to be: is it supposed to be a short story, a novella, a novel, a duology, a trilogy or even a whole series? Of course you can change your opinion at any point, but for me it really helps me to find my pace in writing. If you are going to write a trilogy you will have much more time to focus on side characters, on the world building and just some ordinary things that happen. Whilst in a standalone novel, you can touch those topics, but you should focus on the main problem at hand. Next of you should work out which genre you are most intrigued by and which would kind of describe it. Now this isn't necessary, but I find, that it kind of brings a little more structure into the story, as you will know which aspects of the genre to include. If you are writing a Young Adult-novel, you will have to approach sexuality in a milder way, than might do in New Adult or Adult stories. Also decide if it is supposed to take place in a realistic, a dystopian, a sci-fi or a fantasy setting. Also I want supernatural beings included, so yeah! I want there to be romance (because I just love some lovey-dovey :D), but I am not sure how far I will take it, hence the "edge between young and new adult"
Just take some notes of the basics, we will refine them later. I will give you some of my own notes, but not all of them, because this post is already pretty long and also I don't want to spoil you, if you ever get to read the whole story. This means: I will have to do a lot of research on animal symbolism, but I love that topic, hence the story. Of course those girls aren't treated well in the shapeshifter's realm, but yeah, no one knows that. But she kind of falls in love with one of her servants and yes, the offspring is his. There is an old legend, that no one ever understood, which basically means, that the child born from love between a shapeshifter and a human, will be a woman with special powers. 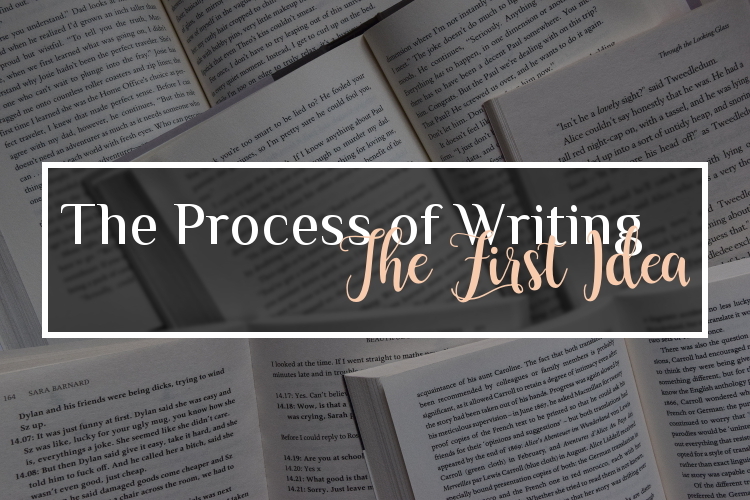 I hope this showed you, how I approach my writing process, and I will see you next week with some more information on what I am doing and how my writing goes.